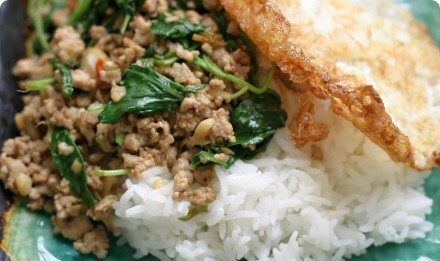 Pad Ga-prao (Pad Ga-praw) is one of the most common dishes in Thailand. 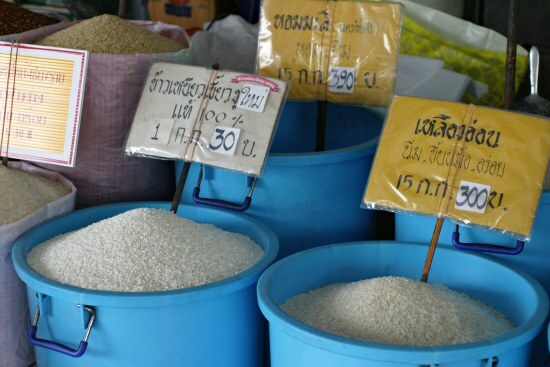 It’s usually served as a one-dish meal, a quick meal eaten over rice, and is usually topped with a fried egg. This recipe is for a ‘one-dish meal’ sized portion. If you plan on making this as a dish to serve with others for a shared meal, double the recipe. Unfortunately, it’s hard to get Holy Basil outside of Thailand, so most restaurants in the West substitute with Thai Basil, which isn’t as good in this dish. Pad Ga-prao can be made with ground or sliced chicken, beef or pork using this same recipe. You can even use pre-fried tofu. Serve with a sliced chili in a bowl with a teaspoon of fish sauce. Smash chilies with a stone mortar and pestle if you have one, or use the side or back of a knife. Smash garlic, and set aside with the chilies. Clean basil by picking off the leaves and flowers, and discarding the stems. Rinse and set aside. When the garlic is ready, add the pork. Break it up in the pan with your spatula, to make sure it cooks evenly. Fry until no longer red. Add sugar, soy sauce & fish sauce. Stir and let absorb. When dry, add the water and the basil leaves. Stir until basil is wilted, and serve on rice. If you want to top with a fried egg, add a bit more oil in the pan, and allow the oil to get very hot. Crack an egg in the middle. If it’s hot enough the egg will bubble up and sizzle. When browned on the edges, flip and wait until browned on the other side. Remove and place on top of the rice. Great recipe. Almost as good as the ones I would eat in Pattaya. I have become a Holy Basil addict. Hey! I wanted to cook something to impress my northeastern bf and I tried this one, first try and he said it was “sell-able” hahaha, awesome detailed recipe you have here, thanks! And include more Northeastern dishes if you can, I’d like to try and make them!! Thank you for this recipe! I love Pad Ga-prao. My favorite is using beef, the fried egg just completes the dish! Fab! Thanks so much for the recipe. Tried it today for lunch and it was amazing even though I bought the wrong basil (used the Thai basil instead of holy. Oops! )Will try all your other recipes soon!! Just made this dish and it was lovely! Added Thai basil and Holy basil as I had both in and used more minced pork, but worked out lovely! Thankyou! Good recipe, I made this a lot when I was living in Thailand…although many thai chefs will slice the chile and garlic in fine slices instead of mortar/pestel. I was called lazy by a good thai friend who is a chef when I did this. Also you can use oyster sauce instead of soy sauce, has a better flavor. I tried this recipe today, I added a bit of sweet bell pepper and just a couple of red chillies….really yummmyyyy. Thanks for the recipe. I recently flew back home after spending half a year in Asia. In Thailand, this was by far my favorite dish. I can’t cook at all, but miss Asian food so much that I want to give it a try. The only problem for me is that there are no vegetables in it. In Thailand I often ate it with morning glory but we don’t seem to have it here. Does anyone have suggestions for other vegetables that would go well with this dish? Feeling fortunate my next CSA box will include Holy Basil. I’m trying this recipe – thank you! I also noticed while in Thailand that it is common for there to be green beans (long beans) in the dish. I feel like it isn’t complete unless those are included along with some onion. That’s a few variations of this dish. I’ve had long beans added often, and onion added sometimes. I prefer to leave them out, but feel free to add them if you prefer it. This is one of my favorite dishes to cook. I have a holy basil plant, so when the leaves get plentiful, I always resort to this dish. Also, I like mine with slivered kaffir lime leaves. Those are even harder to come by than holy basil, which is why I had to get a tree. Always make me hungry. Thanks for sharing. forgot to add !! !lucky you on the Basil,especially if its the Holy..which is the best for this dish…I cant get it anywhere,tried growing it and nah!!! dont want to know..
I’m going to try this recipe today. 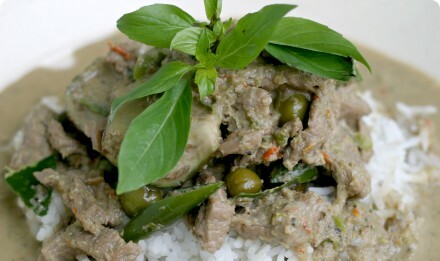 I loved thai basil chicken when i visited bangkok and phuket. It looks simple to cook too! As for the 2-30+ thai small chillies, i think it’s a typo. I guess its meant to be 2-3+ chillies! Not a typo! I put in about 6-7 chilies – many of my friends put in more. It depends on how spicy your chilies are and how much you like the heat. I changed it to 2-10+, but you can really go as high as you want if you like spice!